In need a contemporary table that provides a touch of style with subtle elegance? 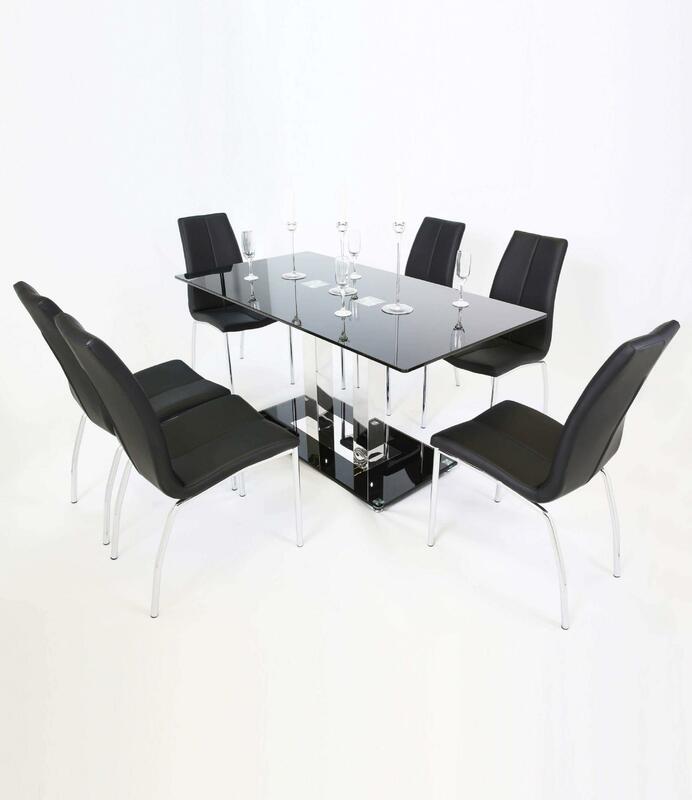 Our Black Glass and Chrome Dining Table does that and more! Boasting the rectangular black glass top with the beautifully contrasting chrome base in a modern yet minimalist design. Carefully constructed with strengthened tempered glass, providing clean lines and completed with the stylish chrome finished legs. Achieving a Dining Table that will stand proudly in your Dining area, creating a space to make memories for years too come with family & friends. Perfectly paired with a wide variety of Dining Chairs, due to the contemporary design! Love this table, then take a look at our larger version the Black Glass Modern Dining Table so you can continue this stunning theme through to your Living area.